Look out for our Undercover Hotels at East Midlands airport. Theyre excellent value and a great way to either start or end your holiday. We offer room-only deals, or you can include holiday parking with your stay. Theyre popular and sell fast, so be sure you pre-book as soon as you see one. Undercover hotels are actually hotels that we already advertise on our website - we just add an air of mystery. We tell you some limited information about the hotel, but cant confirm its name until youve booked. All our undercover hotels are rated 3 or 4-star so youre guaranteed a well equipped, quality hotel. You get the same superb hotels but you make a saving on the original price just for not knowing the name. As with everything thats fantastic value our undercover hotels usually sell fast. So if you see an undercover hotel that you like the look of, book it straight away to avoid disappointment and secure yourself a brilliant deal. Once youve made your booking, well tell you the name of the hotel and everything you need to know about it. What hotels do we offer at East Midlands airport? We have some excellent 3-star hotels at East Midlands, including the Holiday Inn Express and the Travelodge. 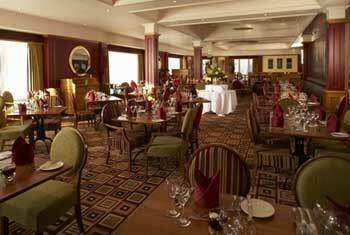 The Hilton, the Thistle and the Premier Yew Lodge are our 4-star hotels. Each of these hotels is close to the airport and just a quick and easy transfer from the terminal. The Thistle hotel is even within walking distance so its ideal for those who want the best access to the terminal. Some of our East Midlands airport hotels offer breakfast and dinner packages at great prices, so keep an eye out for these.